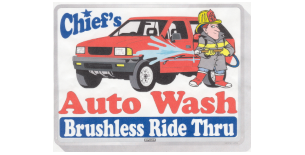 Chief’s treats your vehicle to a hybrid wash process that first features a Touchless (high pressure wash process) followed by a cloth polishing process that employs Lambs cloth (a hand wash like material) that is gently applied and removes stubborn road film and polishes your vehicle to a high gloss. 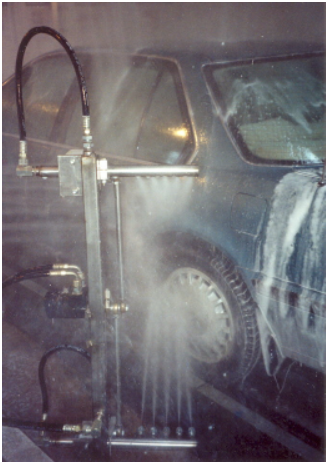 Chief’s Auto Wash has been serving the vehicles washing needs of Cleveland ’s east side since 1960. 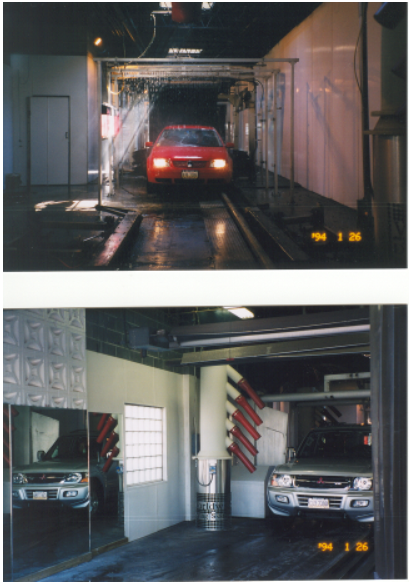 Most other car washes offer you a menu of various packages, each with more services at ever higher prices. We at chiefs prefer an honest approach of simply providing every customer with our “WORKS” wash on every visit. Chiefs is an exterior only, ride thru car was that features both the most thorough as well as the gentlest wash process available. 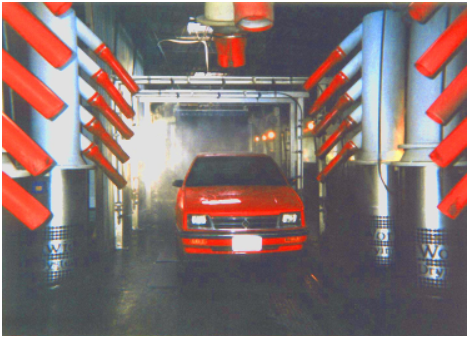 After it is washed, we thoroughly rinse your vehicle and get the water to bead up so our 9 air dryers (125 hp) can give you a virtually dry vehicle. 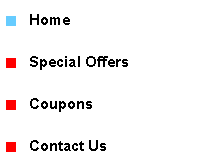 Turn to the right when you exit for self serve vacuums and vending machines with air fresheners armor all and window cleaner and disposable towels.